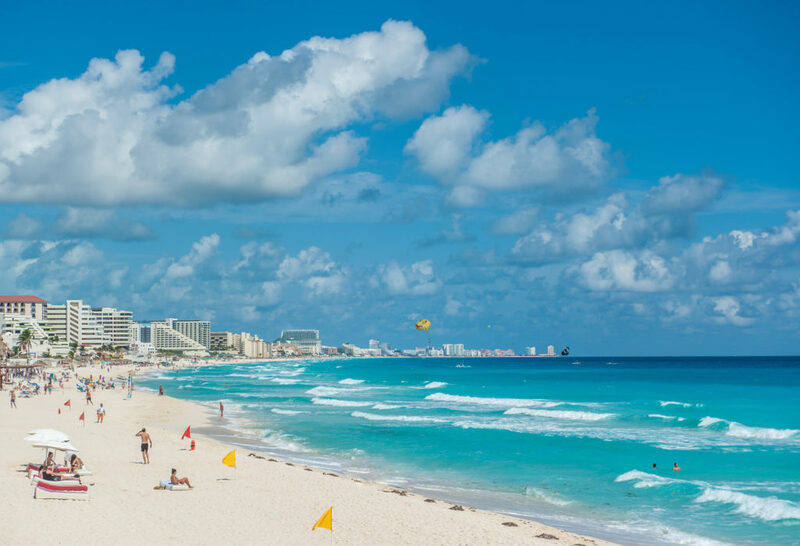 Located on the Caribbean coast of southeastern Mexico, Cancun is one of the world’s most beautiful beach destinations. Sunbathe on the white sandy beaches, scuba dive, then head into the city for dining, shopping, and nightlife. 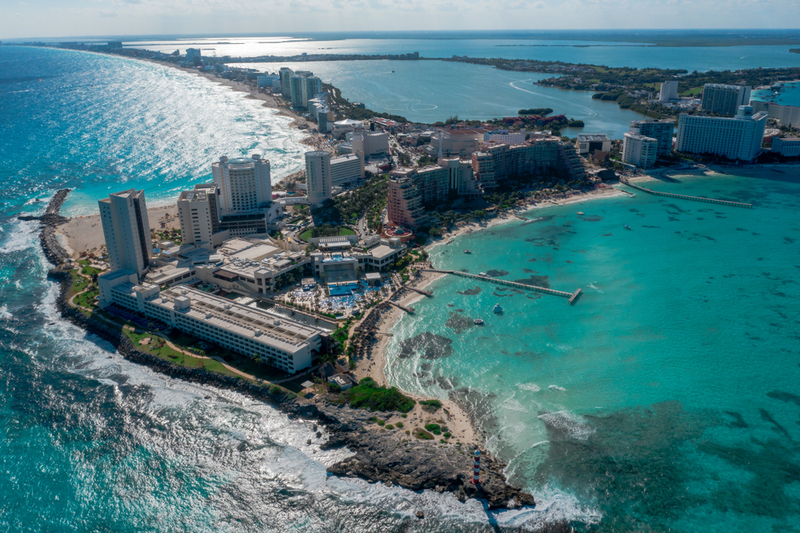 Cancun’s first visitors were Mayan fishermen until the 1970s when word spread about the beauty of its beaches and hotels were introduced to the area. 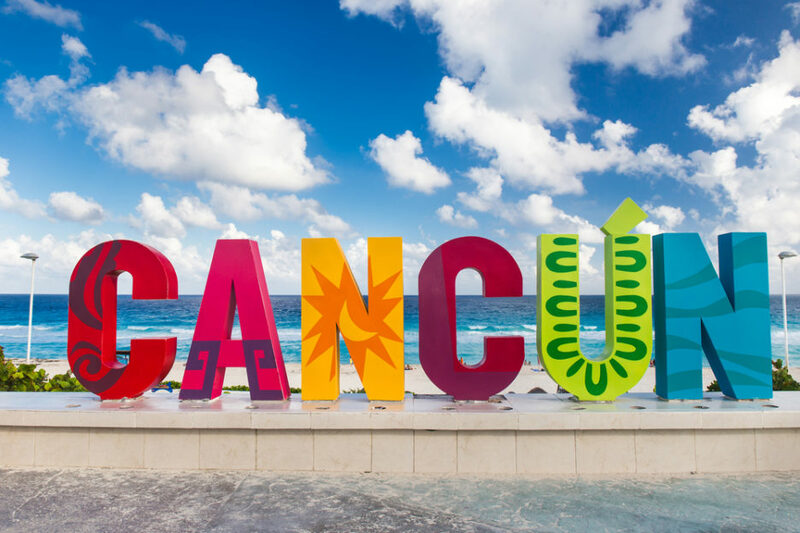 Almost a half-century later, Cancun has transformed into a one-of-a-kind city that satisfies every visitor—be they jungle adventurers, beach-goers, golfers, or party animals. 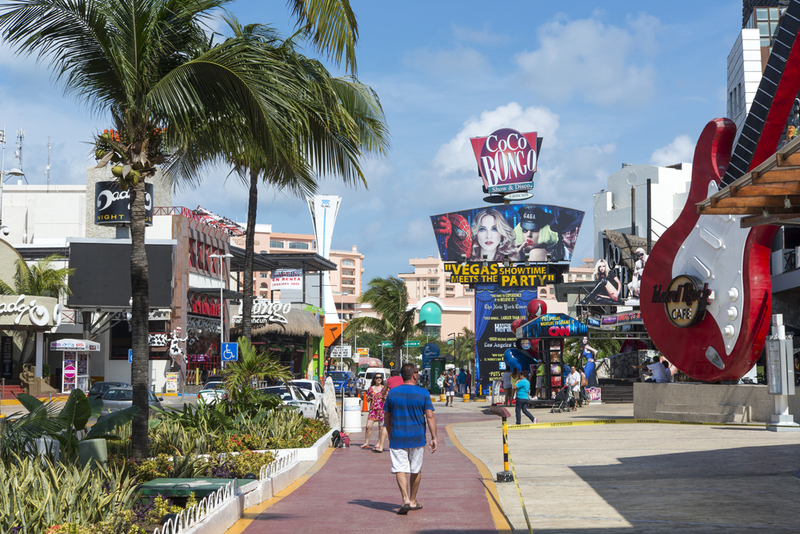 These days, there’s a lot going on in Cancun! 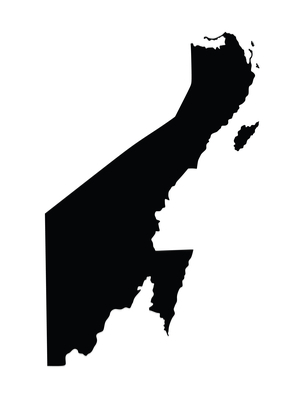 We’ll help you make the most of your time by showing you the lay of the land, what’s where, and how to get around. The first important thing to know? 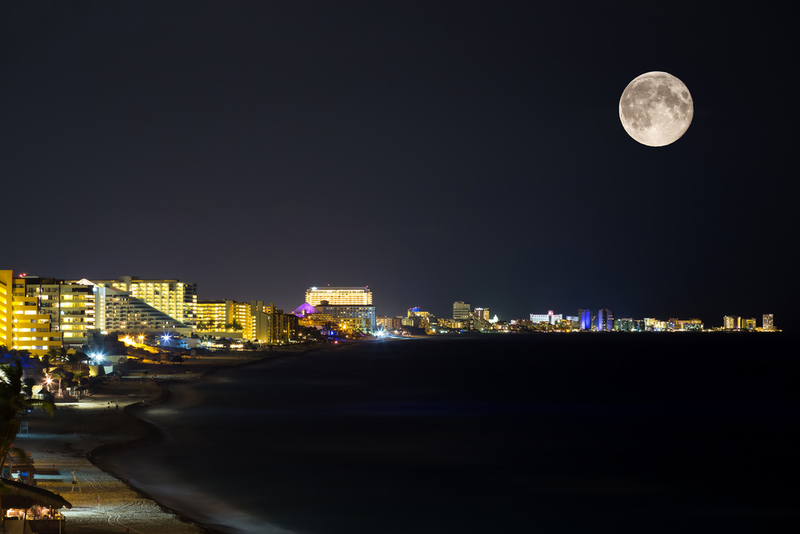 “Cancun” is made up of two distinct areas: The Hotel Zone (Zona Hotelera) and Downtown (Cancun Centro). 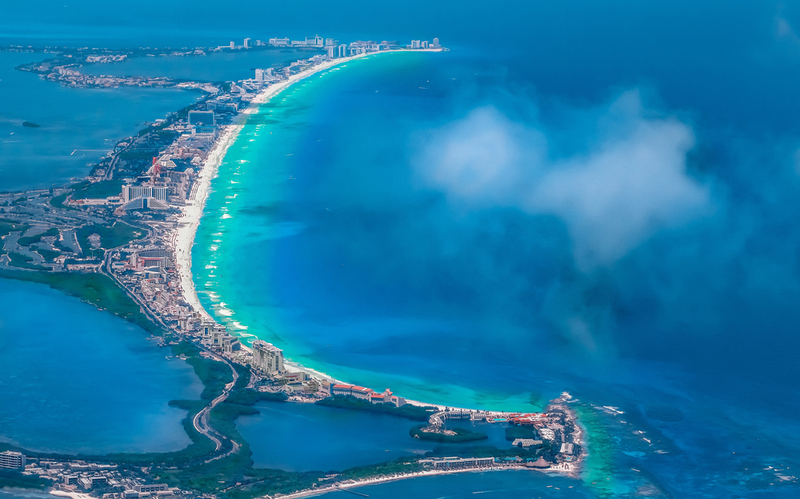 The most iconic area of Cancun, known to the world as the “Hotel Zone,” is a 13-mile-long island sandbar that is attached to the mainland by its northern and southern tips. The strip of land is home to over a hundred hotels and luxury resorts—all within walking distance to the turquoise waters of the Caribbean. Enjoy a relaxing afternoon squishing soft sand between your toes, then head to one of the many restaurants in the Hotel Zone. After dinner, sip on a margarita at a local bar and dance to the world’s best DJs at one of the Zone’s vibrant discotecas (nightclubs). Not into the party scene? Explore the Hotel Zone by shopping at the La Isla outdoor mall or touring El Rey, a Mayan archaeological site with dozens of stone structures—including a Mayan temple and burial site. Keep your eyes open when you’re outside and you’ll see iguanas, lizards, crabs, and even turtles. 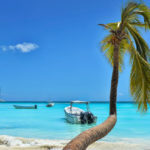 Of course, if you want to keep your vacation full of the Cancun sun, sand, and surf, you will not be disappointed by spending all your time at the white sanded beach. Dive deeper and enjoy easy, fun snorkeling at the Nichupte Lagoon (the calmer body of water between the hotel zone and the mainland). 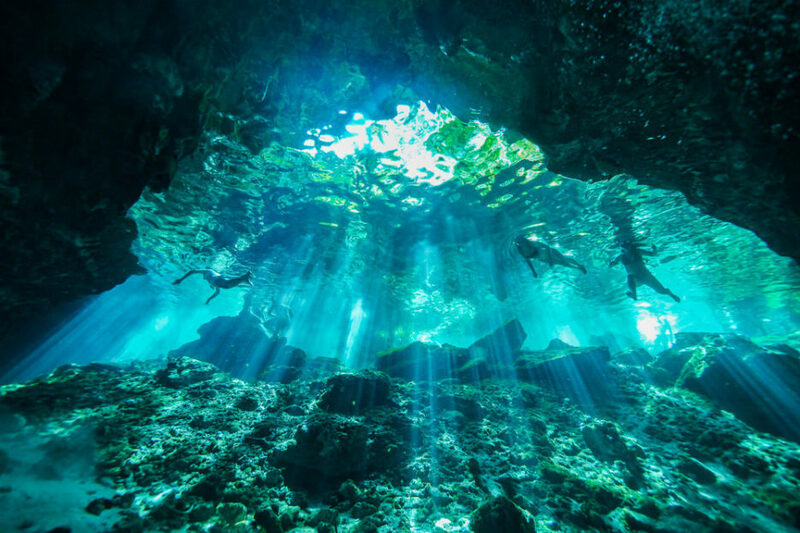 For a truly immersive underwater experience, scuba dive among the man-made statues in the Cancun Underwater Museum.